This is the beginning of my year-end blow-out, in which I'm going to post every shred of art that's not currently on my site. Some of the stuff has been sitting on my computer for over 5 years! Well, I'm sweeping it all out and starting 2010 with a clean state. This graphics collection only contains stuff that isn't already embedded in other pictures on my site. Some of these bits have been used here and there in the past (including on old versions of my pictures)... but went missing until now. Obviously, these graphics are related to my old artist name, "Kinmotsu7". Since I'm no longer using that name, it's a fitting time to flush this stuff out into the Internet. UPDATE (2009-12-24 22:11:22+00:00): I just made a very minor tweak to the image. 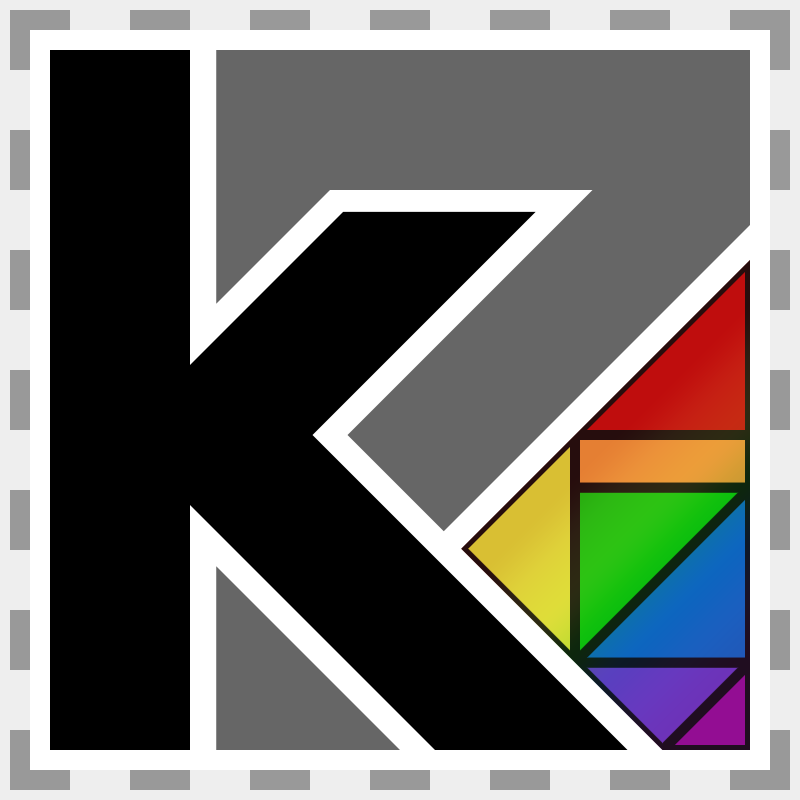 UPDATE (2016-05-29): High-res version of "k7" square Kinmotsu7 logo now available in Source link.